Dr. Valentin Hampejs (Don Valentino) is a western-trained physician specializing in neurology and psychiatry. As a young physician, he could not accept that there were many incurable diseases. His relentless pursuit to help his patients led him to embark on a journey in search of treatments for those patients who were told by the western doctors that there was no cure. His quest led him to study with the shamans of the Andes and the Amazon learning the medicinal properties of their sacred plants for the last 30 years. 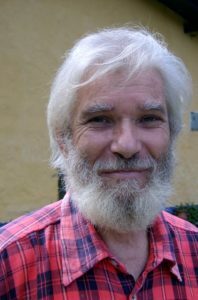 In 1991, The Ecuadorian Ministry of Public Health commissioned Dr. Valentin to write a book on shamanism that was published under the title of El Éxtasis Shamánico de la Conciencia – Principio Medular de la Medicina Shamánica along with a German version under the title of Die Schamanische Bewusstseinsekstase – Kernprinzip der Schamanischen Medizin. Dr. Valentin is now offering special retreats in the Venezuelan Andes that integrate modern and ancient medicine to treat depression as well as such incurable diseases as Muscular Sclerosis and other degenerative diseases (duration 3 weeks). Dr. Hampejs has also created a program for drug addiction program that requires longer stay (4 to 6 weeks). The retreats are very auspicious for all of us who seek to heal the body, the mind and the spirit.